Accountability. I can think of very few action steps that are more effective than this when it comes to inducing positive behavior change. Using myself as an example, I remember experiencing this first-hand back in 2008. 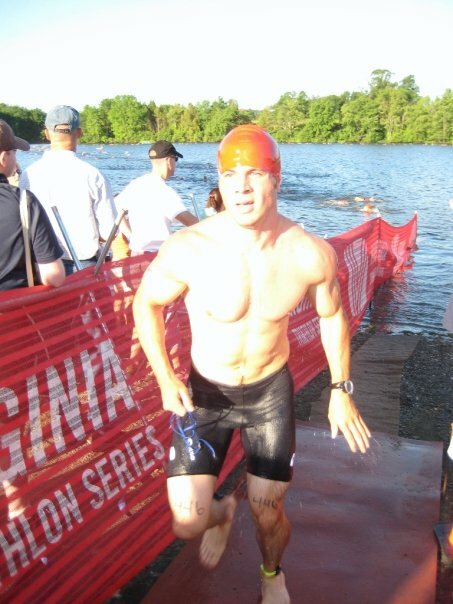 I, believe it or not, took a trip over to the "dark side" and decided to compete in triathlon. I thought it would be a good challenge (I don't think I had ever run over 3 miles in my life at this point) and also give me a greater appreciation for the weekly stressors endurance athletes face in training. After all, it's difficult to really understand what it feels like to be in someone else's shoes unless you, well, step into their shoes. The thing was, I hated the swim portion of training. I was in college at the time, and in order to have any hope of getting my own lane in the pool I had to be there at 7:00AM sharp when the pool opened. Given that, during college, I was less-than-responsible with getting to bed at a decent hour (curse you roommates! ), and the fact I was a lousy swimmer to begin with (I think I've seen rocks swim better than I do), I was FAR from motivated to arrive for an hour of "controlled drowning" each morning. Fortunately, I had a few friends who came right along my side and told me that they would meet me at 7:00AM sharp each morning for a swim. And I better show up, because they sacrificed sleep in order to meet me there. Needless to say, this allowed me to consistently complete my scheduled swim sessions each week, and avoid looking like a complete idiot during the open water swim on race day. Ok, so what does this have to do with peanut butter? Well, I recently received an email from a good friend of mine that reminded me just how powerful accountability can really be. You see, my friend (for sake of anonymity we'll call him Sam) has been fighting a pretty intense battle with food for the past few years. After dealing with a number of severe injuries, he began face these irresistible urges to feast. No matter how irrational he knew it was, he'd wake up in the middle of the night and be so hungry that he'd (nearly unconsciously) devour boxes of cereal or even an entire jar of peanut butter. Keep in mind: Sam is a very accomplished runner (holding a 6:39 mile split during a competition marathon...my legs/lungs hurt just thinking about that), so he's no stranger to perseverance, positive self talk, and working hard. However, upon sustaining injuries to the lower extremity - rendering him unable to run - it became near impossible for him to receive his "fix" each week through running. This is when the seemingly-impossible food battles began to really pick up and he gained roughly 30lbs. For an athlete and self-motivated individual, this was obviously devastating. I did my best to support him, offer him strategies, give him recipes, have him over for dinner, etc. in order to help him through this tough time. I suggested he avoid buying ANY food that created an irresistible temptation, as I've found this strategy has worked for me personally as well as people I've coached. After all, if it's not in your home, you can't eat it, right? Here's where Sam actually became quite innovative. He took my advice and stopped buying cereal, peanut butter, and the other "problem foods." However, when he'd awake in the middle of the night, he would steal his roommates peanut butter and eat that! He'd then proceed to go out to the store the following morning and replace his roommate's jar. (Haha, even he laughs at this, so I know it's o.k. to share). Again, the one day goal of texting you a success story worked again. I don't know what it is but even in my tired stupor I think "I have to tell Stevo that I did it because I told him I would and hes counting on me." I had only a cup of cottage cheese and some egg whites last night. (I am aware that a kitten dies every time a yolk is dumped in the sink, but had already had 6 whole eggs throughout the day). For the next week I'm going to allow myself the cottage cheese and an egg for compliance purposes. I did wake up at 4 and had a little bit of rice chex, but quickly stopped myself and had some pistachios before going back to bed. I can't thank you enough. This is the furthest I've come since I can remember with my eating battles. I know that just one bite of peanut butter is a dangerous slippery slope. As good as it tastes (same with sugar) it's nowhere near worth how I have felt and the changes I've been able to see since I stopped it. I can think clearer, I feel more confident, and I don't feel a slave to food. Last time this happened I relapsed after about a week. 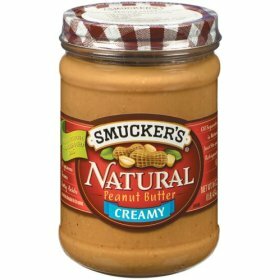 I am now over 2 weeks without peanut butter and going for a month, and then on. When I got this email, it literally made my day. I mean, it had been each and every day throughout a couple years that Sam had been battling this, and just making that step of accountability made all the difference. At this point in time, he has lost 25-30lbs (weighing the least he has in 2ish years, and near his ideal body weight) and is only continuing to improve. What we can all learn from Sam is that if we're serious about obtaining a goal, we need to tell others about it. In fact, it'd be best if we have those close to us BADGER us about our goals; keeping us on track each and every day no matter what external circumstances appear to be dictating. Need to lose weight? Hold yourself accountable. Want to add some lean body mass? Tell your friends/spouse/co-workers how much you're going to put on over the next month. THEN we'll see how often you reach for the muffin instead of the egg omelet for breakfast. Want to squat 405? Tell people about it before it happens, and then see how frequently you skip your next lower body session. (Someone I know recently took this step...*coughcoughWayToGoRYANcough*). Now go tell someone your next goal.